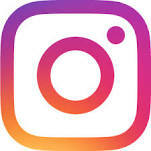 Join our insta squad for your daily dose of fashion news, fun contests, jewellery talk and much more. How many times have you wished for your precious jewellery to be trendy enough, to find a place in your wardrobe and not your locker? To be as dynamic as your changing style and as contemporary as your stilettos! 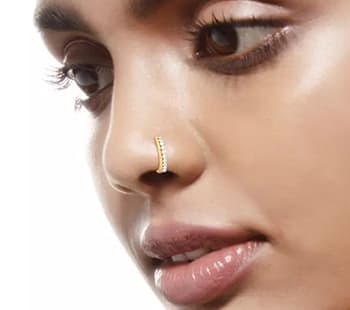 Jewellery that’s affordable enough to experiment with and not just an investment to save for a rainy day. At Melorra, we get you! Our international stylists enjoy front-row access to Paris, Milan, New York and London Fashion weeks and bring global trends back home. So, our jewellery designs reflect what’s in your closet! You won’t find a heavy choker inspired by heritage here but you’ll definitely find a banglet to go with your LBD! Melorra jewellery is created with minimalistic elements that do not overpower your look. Made in 18 karat gold and 22 karat gold, our lightweight jewellery is perfect to take you from Monday to Sunday. Be it work, party or casual wear, there’s a design for every outfit - from your crisp white shirts to your rugged denim shorts! If your wardrobe changes so frequently, why shouldn’t your fine jewellery? We launch 250 unique designs every month across all types of jewellery - close to 10 new designs every day, which would be hard to find in any jewellery store. Using 3D printing technology, we create numerous designs and launch them at a fast pace. Because we believe in creating original designs that are insta-worthy and not just for investment! Pick any piece and get matching designs across categories i.e. if you like a particular bangle, you can also choose from a set of matching earrings, rings, pendants and necklaces on Melorra. We create every design in sets of 4 or 6 to complete your look. Whether you’re looking for gold, diamond gold jewellery or diamond gemstone styles, you get statement pieces for daily wear here! When we shop for a mobile worth Rs. 20,000 or outfits worth Rs.10,000 online, why not fine jewellery? Our designs start at Rs. 4,000 and come with all the perks of shopping online - Cash on Delivery, 30-day Return, Insured Delivery & Lifetime Exchange Value. 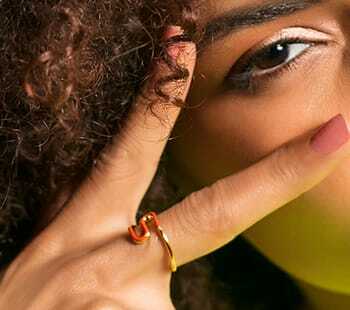 Online jewellery shopping is effortless with Melorra! What Can You Find on Melorra? 3300+ light weight jewellery designs that are perfect for everyday wear! With a wide range of gold jewellery designs and diamond jewellery designs, we offer refreshing options that you won’t find elsewhere. Online Jewellery Shopping is fun on Melorra because we give you a wide variety to choose from. 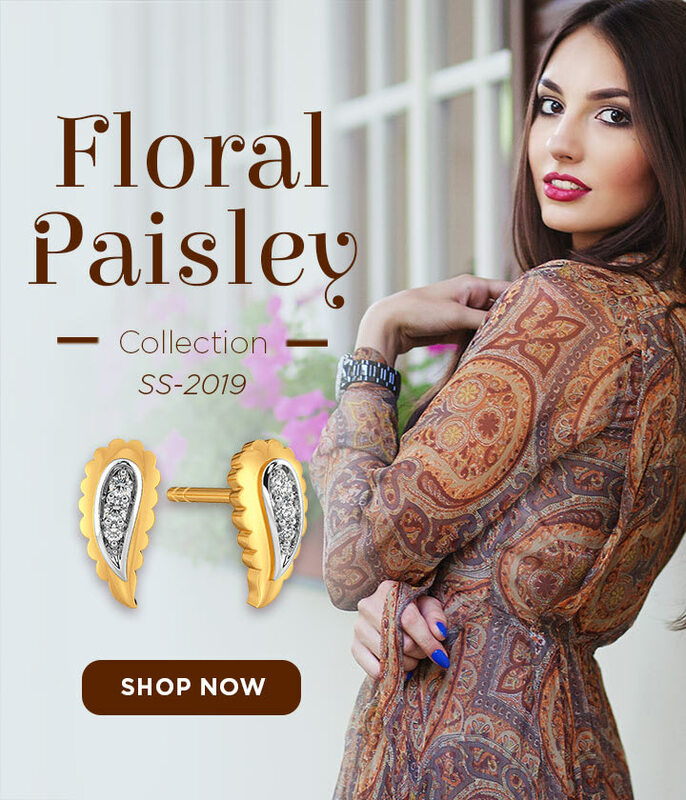 Necklaces for women, latest bangle designs, bracelets for women, pendant designs, earrings for women, nosepins, chains and finger rings for women - they’re all available in 18k and 22k gold jewellery for online shopping. So, whether you’re looking for chic earrings online or chains for ladies for everyday wear, Melorra’s light weight jewellery makes the cut! Online Jewellery Shopping is also easy on Melorra with our user-friendly interface. We provide various filter and sorting options. You can not only filter by diamond jewellery designs, gold jewellery designs or gemstone jewellery designs but also via motifs, collections, price range, gold weight, colour, style and occasions. What’s more, online jewellery shopping is completely safe on Melorra! Buying gold jewellery online with Melorra comes with the assurance of BIS Hallmark. Melorra's diamond jewelry comes with diamond certificates issued by SGL or IGI Laboratories, India's foremost diamond certification agencies. So, you always get the best and the original. When you’re looking to buy gold jewellery online or diamond jewellery online, think Melorra. You won’t be disappointed, we promise. Not sure if you made the right choice? Just return or replace your Melorra order within 30 days through a simple, hassle-free process. Our wardrobe needs a refresh every now and then, doesn’t it? At Melorra, you can upgrade your jewellery easily as we offer a best-in-industry Lifetime Exchange policy, with a 90% exchange value across all jewellery categories. Rest assured about the purity of gold with Melorra’s BIS hallmark jewellery. Melorra's diamond jewellery comes with diamond certificates issued by SGL or IGI Laboratories, India's foremost diamond certification agencies. We pack your precious order in special, tamper-evident boxes and do not charge any extra shipping charges. Pay only after you receive your order! We offer multiple payment options including Cash on Delivery service all over India. So, buy jewellery online on Melorra without hesitation! Melorra is your online shopping destination for beautiful modern jewellery to accessorise with your contemporary outfits.